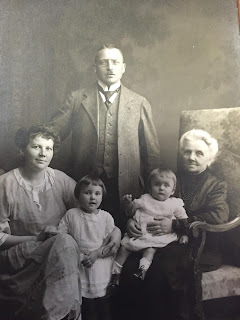 Katherine is guest blogging on German translation today. Thank you, Katherine. Please see Katherine's bio at the end of the post. I do not have any relation to Katherine or her ancestors. I found her story interesting and thought my readers would too. 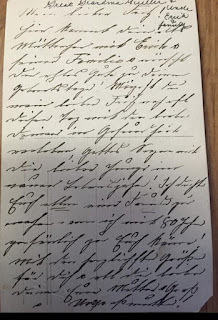 As a translator of old German handwritten documents, I spend many days reading the personal correspondence between family members living in the 19th and early 20th centuries. I often wonder what these people would think if they knew that, 200 years into the future, a woman in America was reading their private hopes and dreams they had written to their mother, to their son, to their best friend. 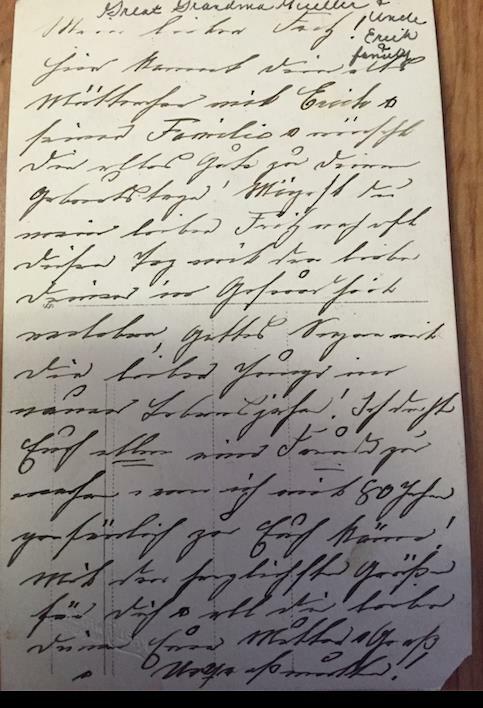 However, I like to believe that these writers wouldn’t mind, as this translation of their letters allows their great-great-great grandchildren to get an idea of what their ancestors were like all those years ago: how their minds worked, what their worries were, what they hoped for and so on. It allows the memory of these individuals to live on throughout the ages, and I think all people like the idea of that. My dear Fritz, Here comes your little old mother with Erick and his family to wish you a happy birthday! May you, my dear Fritz, always spend this day in health with your loved ones and may God’s blessings be with you, dear boy, in this new year of life! I thought it would make you all happy if my 80-year-old self came to you “in person”! Warmest greetings to you and all my love, your mother and grand- and great-grandmother! Without this sweet little note, I may have imagined Adolphine to be a somber, rigid 19th-century woman. However, through her happy words to her son, as well as her little “in person” joke, I now feel that I have more idea of who she was as a person. While I am sure she would have never imagined that her great-great-great granddaughter would be reading her birthday message in the year 2016, I hope that it would make her happy to know that her descendants are still thinking of her and want to learn about her life. I think that it would. Katherine is a German-English genealogy translator who works with old German handwriting in letters, marriage and baptismal certificates, church registers and more. 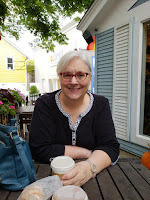 After receiving her Masters degree in German from Bowling Green State University, she moved to Austria to teach English through the Fulbright Program and work as a translator. She now translates German genealogy documents full-time back in the States. Check out her website and blog at sktranslations.com for more information. I didn't think any gift would be able to top the one my husband got me last year for Christmas, but my son may have outdone him this year. He got me my own genealogy assistant, Alexa. Seriously, I have an assistant now. Alexa isn't a person, but it is the next best thing. I don't have to pay Alexa or report her income. I just speak and Alexa does what I want. Alexa is the voice activated persona of Amazon Echo. Amazon Echo has been widely available since June, 2015, but I hadn't heard of it until I unwrapped it Christmas morning. 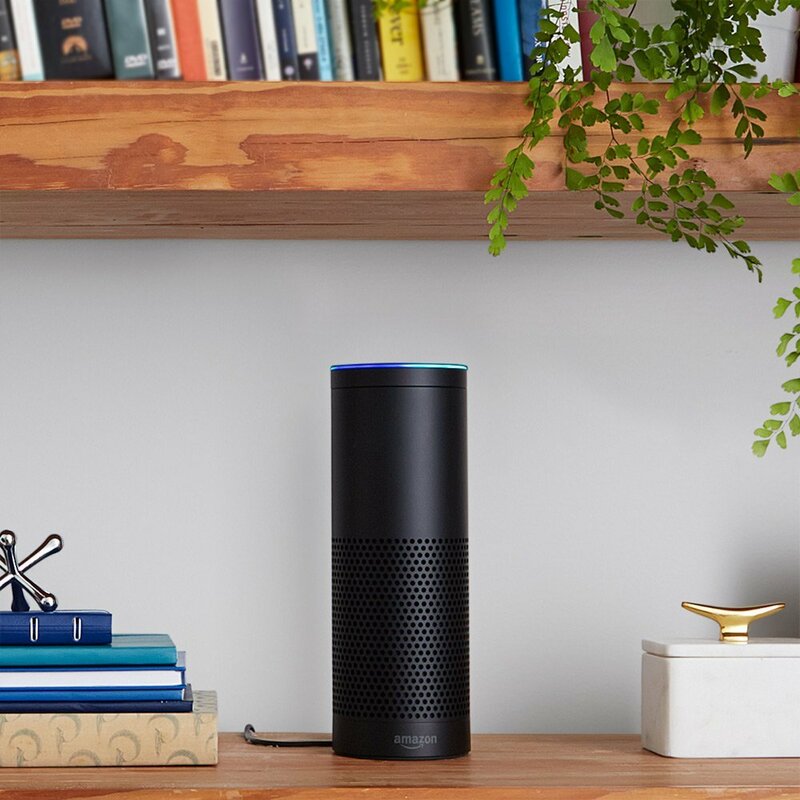 Amazon Echo is a voice activated system with an awesome speaker. My son knows of my love of music and I am sure that was why he bought it for me. I use it for music and have been re-living my youth by listening to Tommy James and the Shondells, 70's Rock, Eagles, Motown, Neil Diamond, and more. It is an awesome system for music, but it wasn't long before I was thinking about how I could use it for genealogy. The first thing I found was podcasts. Lisa Louise Cooke's Genealogy Gems Podcast is available via Tune In for Echo. All I have to do is say: "Alexa, play Genealogy Gems on Tune In" and there it is, ready to be listened to as I get dinner, do the dishes, or clean. The Genealogy Guys, George and Drew, can be found on Tune In as well. Next, I started using the 'to-do' list feature. "Alexa, add record Archives of Michigan research to To Do list." and she does. The shopping list is a neat feature too, "Alexa, add file folders to shopping list". She is an awesome assistant. Alexa can tell me what is on my calendar for the day, she can tell me the weather in Fort Wayne in case, I decide to go to the Genealogy Center, or anywhere else. She can even answer questions, "Alexa, how far is it to Boston Massachusetts?" She can't tell me how long it takes to get there because she doesn't know how fast I drive, and she tells me that! One of the things I am looking forward to using Alexa for is when I plan my next research trip. She can tell you where cemeteries and libraries are and even the hours of some. She can give you names of restaurants as well. One feature I haven't used yet is Alexa's ability to read to me. She can read audiobooks from Amazon Kindle. Imagine working around the house and listening to The Genealogy Do Over Workbook, or Advanced Genealogy Research Techniques. Alexa is adding new features, like Jeopardy, all the time and I can't wait to see what she has in store in the future and how I can adapt it to my genealogical world. Thank you Travis and Alayna for the great genea-gift, even if you didn't know I would use it for genealogy. Now, if she would only do the dishes! "Cleaning the dishes is something I can't help with." I will keep her anyway as she does enough to make me excited to see everything she can do.